​For more information, please contact The Vicksburg Art Association. 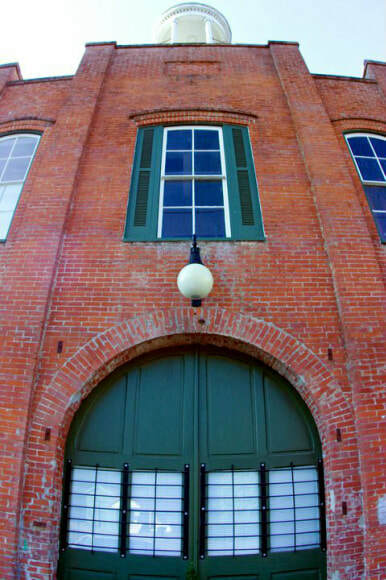 Our gallery is located in the (Old) Constitution Firehouse, one of Vicksburg's first firehouses. Designated as a Mississippi Landmark by the Mississippi Department of Archives and History, the (Old) Constitution Firehouse is believed to be the most intact Victorian fire station in the state. Built in 1870, the firehouse served as the second house for the Vicksburg's first volunteer fire company and later housed the first paid company. The building retains the central stall, barracks room, cupola, and bell which was used to call the volunteers. The presence of the (Old) Constitution Firehouse made the Openwood/Main Street area one of the most desirable residential districts in Vicksburg before 1876.